March 5, 2013 - Georgetown, MA - UFP Technologies, a producer of custom-engineered components, products, and specialty packaging, today introduced its latest innovation for the medical device industry, FlexShield®. FlexShield is a medical device pouch for screws, rods, plates, and other instruments. FlexShield provides puncture and abrasion resistance in order to safely ship medical instruments without incurring damage to external packaging. Made from a durable plastic film that eliminates the need for rigid blister packaging, FlexShield ensures the integrity of the sterile barrier between instruments and outside contaminates from the time of assembly to final use in the operating room. Designed to be user-friendly, FlexShield can easily fit instruments and tools of varied shapes and sizes. Its shape makes the loading of an instrument, via a small slit, quick and hassle-free. During surgery when an instrument is ready to be used, the protection system can be torn across its perforation for easy recovery, handling, and disposal. FlexShield is small, lightweight and flexible; and when packaged within a pre-validated pouch (as opposed to rigid plastic) provides cost savings during shipping. FlexShield is available in three standard sizes, and can be designed and manufactured to custom specifications. 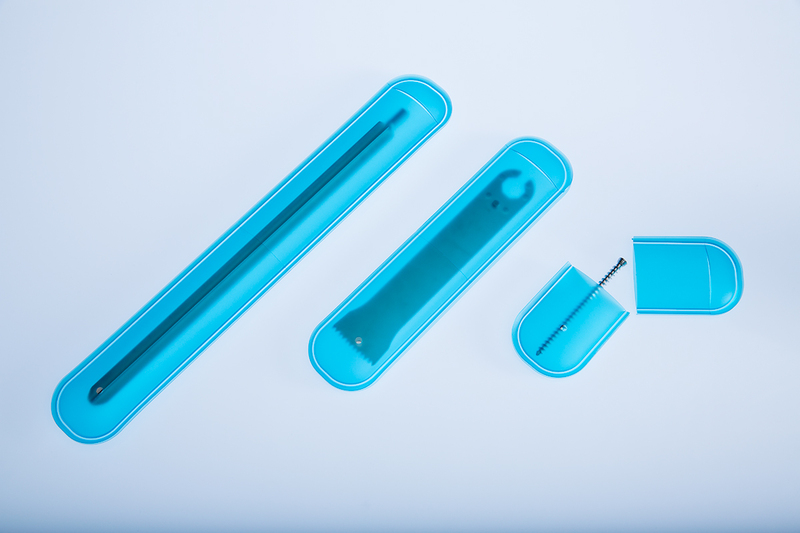 The medical device pouch is made from a USP Class VI certified thermoplastic polyurethane film that is compatible with EtO and Gamma sterilization. UFP Technologies manufactures and packages FlexShield within its ISO Class 8 (Class 100,000) clean room facilities. FlexShield will be debuted at HealthPack March 12-14, 2013 in Louisville, KY.